This month, Gajan sits down with Instagram influencer Supendra. The two discuss the journey to finding your space online, staying creative, mapping out strategies, and the power of networking. This was a great conversation that truly ends on a high note. You don't want to miss this. Enjoy! In this episode, Gajan sits down with Shan Vincent De Paul, a Toronto-based artist that explores his creativity through hip-hop, R&B, soul, pop, and more. With several bangers to his name and touring the world, he offers some honest thoughts on creating music, navigating struggle, dealing with social pressures, and more. Whether you're a musician or not, you'll find some real value from this conversation on creativity. Enjoy! In this episode, we sit down with former Canadian Olympic athlete, Martin Reader. Martin is doing some amazing work in health awareness, youth leadership, peak fitness, and more! We talk about time management, goal setting, overcoming adversity, and so much more. Whether you're a content creator or an athlete, you don't want to miss this. Enjoy! In our latest episode of Controlled Chaos, Gajan sits down with the VP of Product Devices at Rakuten Kobo, Ramesh Mantha. We talk about the early days in the engineering field, building 3G technology before it was a “thing”, early days at Blackberry when the iPhone was on the market, and his transition to his current role. We also dive deep into the philosophy around designing a product for consumers, how to foster creativity, and dealing with feedback. This is a jam-packed episode that you don't want to miss. Also, check out http://www.theriskyfox.com for more great content. Enjoy! Gajan sits down with NAVZ-47, a Tamil-language artist, who has put it all on the line to follow her dreams. In this episode, we talk about her craft, navigating the industry, dealing with criticism (especially from family), and how to overcome creative hurdles. Make sure to follow her Instagram profile to see even more of her story and be sure to check out her music on Spotify. Enjoy! In this episode of Controlled Chaos, Gajan sits down with Julia Hamer: a neuroscience researcher, volleyball player for the Canadian National Team, social media personality, med school student, AND professional model. Yea, that's a lot. So naturally, we speak to her about managing a busy lifestyle without burning out, the importance of diet to cognitive function, how blue light can impact your overall health, and much more! There's a ton of great material covered. Enjoy! Be sure to visit http://www.theriskyfox.com for more great content. In this episode, Gajan sits down with Jason, aka Stockezy, to talk about his journey into street photography. The two discuss photography, composition, growth, Fuji cameras, hip-hop, sneakers, and much much more. This is our longest episode yet, but a must listen for anyone interested in photography as a hobby or profession. Enjoy! 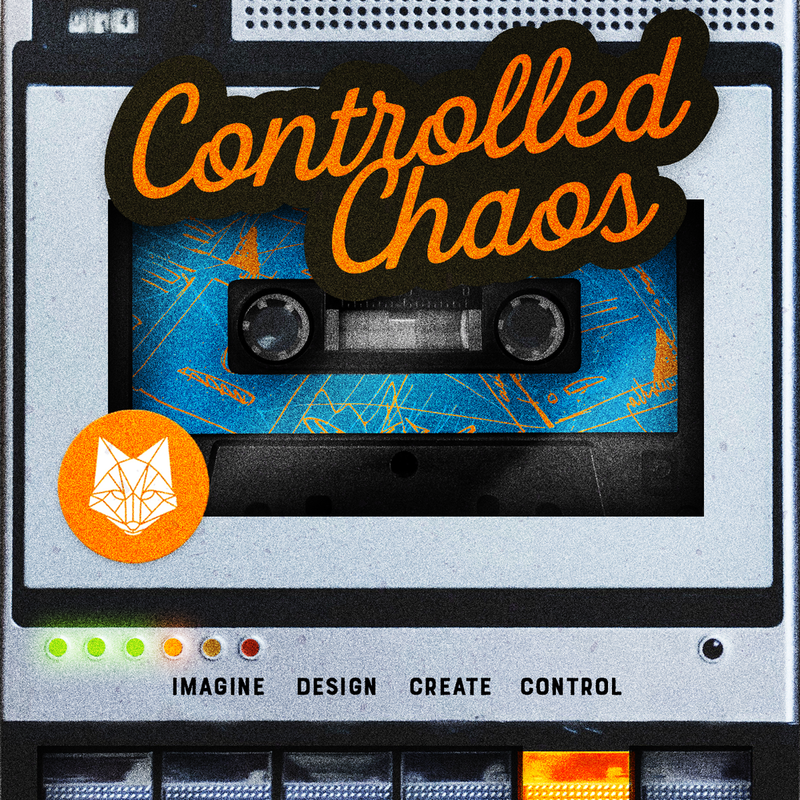 Controlled Chaos is a show for creators. The host, Gajan, sits down with creative minds in varying disciplines to discuss their journey, process, and adversities. The goal of the show is to have honest and meaningful conversations around creating content, our responsibility as creators, and empowering others to create as well. What’s unique about Controlled Chaos is that we unapologetically venture down rabbit holes and embrace the spontaneity of discourse. This show aims to build an experience that’s authentic for the listeners, so that they truly find value in the topics being covered. We hope that you enjoy the content! In this episode, Gajan visits Julian of NOBOX in the UK. The two talk about mental health, overcoming adversity, and dealing with negativity. The conversation goes in several different directions, but there is a common thread of mental health throughout. We hope you enjoy the conversation. In this episode, Gajan sits down with serial entrepreneur, Carlita. The two talk about growing a brand, overcoming adversity, and dealing with toxicity. This show is transforming into somehting else right before our ears, but we'll have more details on that in the near future. Until then, enjoy the show! Not Another Cooking Show is one of the best channels on YouTube today. Steve, the creator, empowers his viewers to go out and create enjoyable food that's fun to make. Further, he's doing it his own way. In this episode, I had a chance to interview him and dive deep into his thought process. We talk about failure, inspiration, gear, and more! Whether you're a content creator or just getting started, there's a lot of valuable insight for you in this episode. Enjoy!